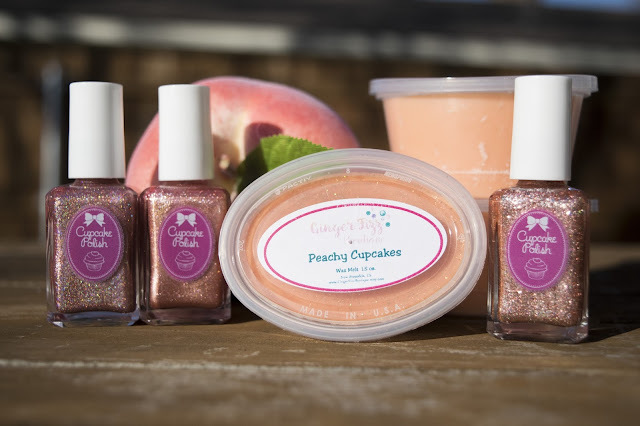 Cupcake Polish Launches Limited Edition Life's Peach Trio Available February 5th! 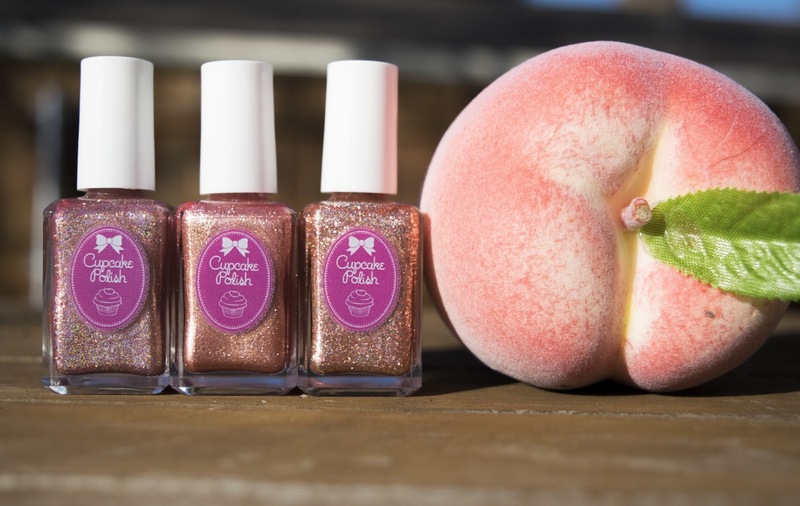 Cupcake Polish announces a fun new trio themed around a southern favorite and one of my favorite fruits-the peach!! This trio features three gorgeous polishes that are full of fun but can definitely be dressed up for those who love a little glam. All polishes in this trio are opaque in 2-3 coats. In addition to these three limited edition polishes, we are introducing a matching wax melt of the month from Ginger Fizz Boutique to go along with this trio! This month's wax melt is a fun peach scent to give you smell-o-vision for these gorgeous peach polishes! These polishes and the wax melt for this month are VERY limited in quantities! 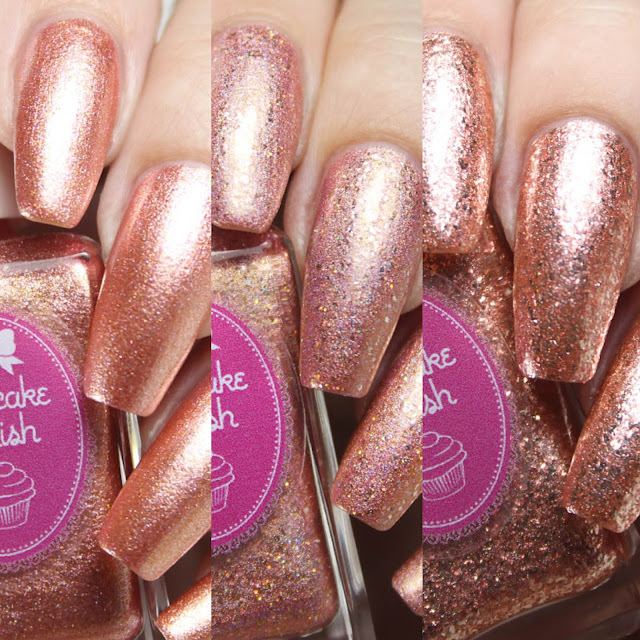 Cupcake Polishes are handmade, long-wearing full coverage and 5-free. Ginger Fizz Boutique wax melts are highly fragranced in a soy wax blend and are approximately 1.5oz. Polishes will be sold separately or as a set with the matching, wax melt for a discounted price of $35. This collection launches on February 5th at 8PM CST.